Phyllis Henly led us through the various steps needed to create a truly lovely bowl/candy dish (shown above). She clearly demonstrated each step with pre-made fabric examples from the cut 10 1/2" squares to the folded down and buttoned points that put on the finishing touches. 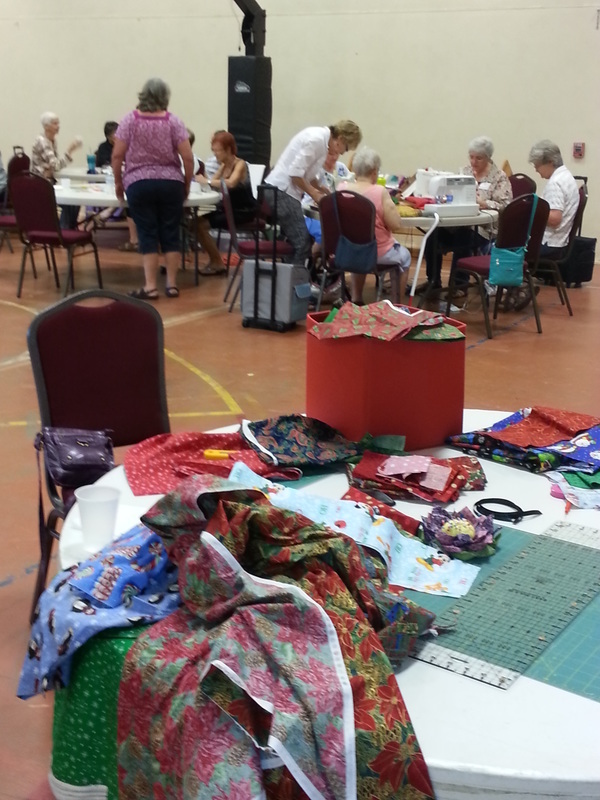 The demonstration was well attended, fun, and involved everyone. 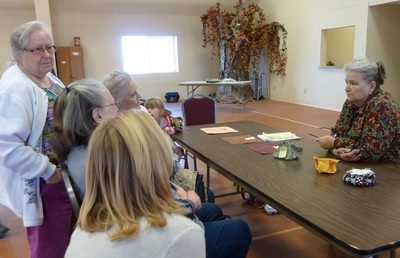 Many were taking apart and repining the different steps involved to make this bowl. We hope to see everyone's completed bowls/candy dishes at our next meeting! 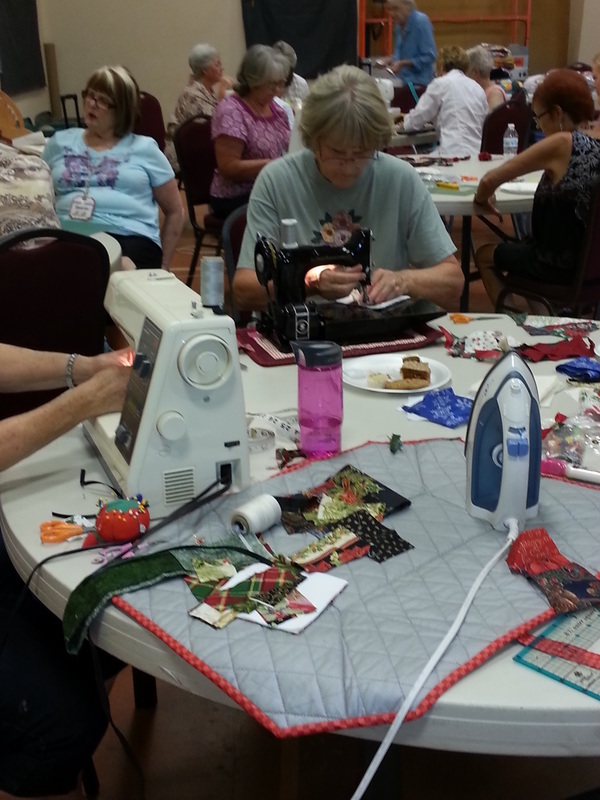 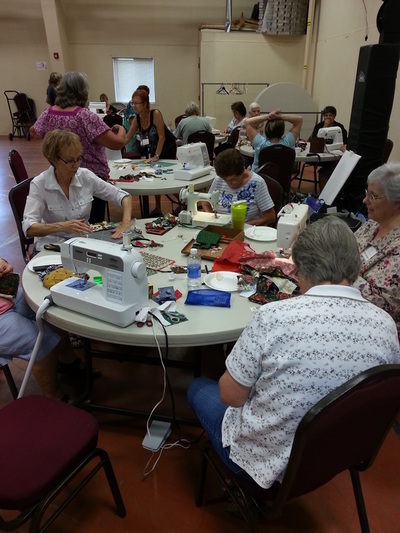 We learned new and exciting techniques in these three unusual fabric ornament workshops in preparation for our Christmas Ornament Exchange at our December luncheon. 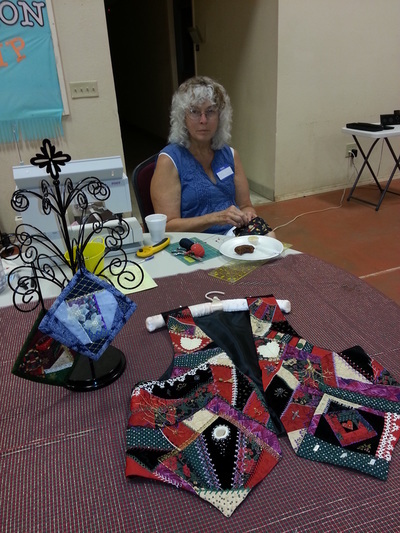 Looking for more fabric ornament ideas? Check out this Christmas ornament links page with links to a wide variety of ideas and tutorials. 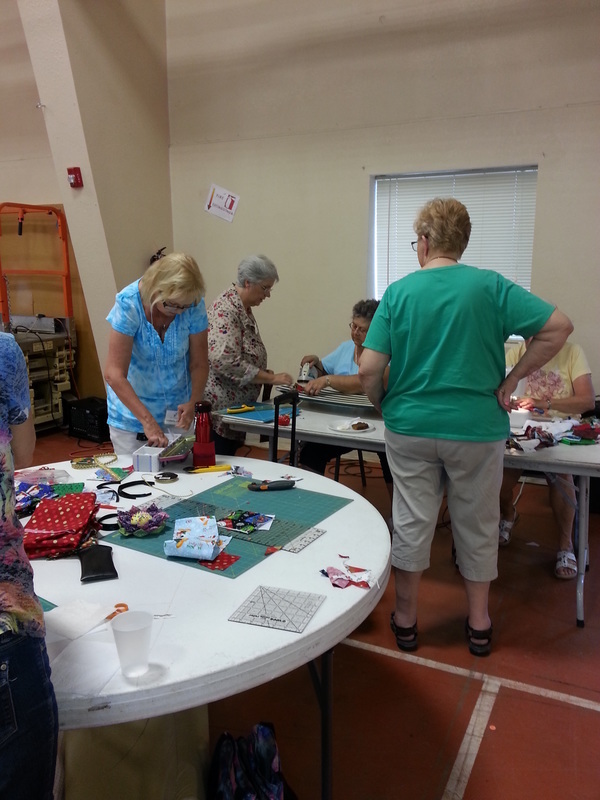 Pat showed us how she quilts a Comfort Quilt, and as she says, "It is really simple and easy . 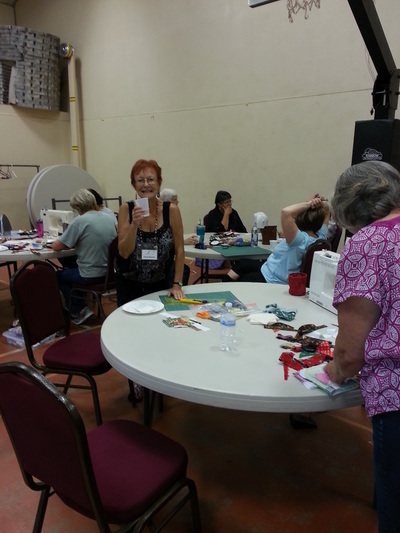 . . no fancy stuff here!" 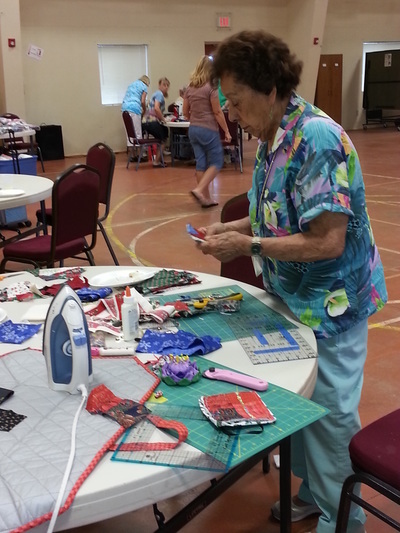 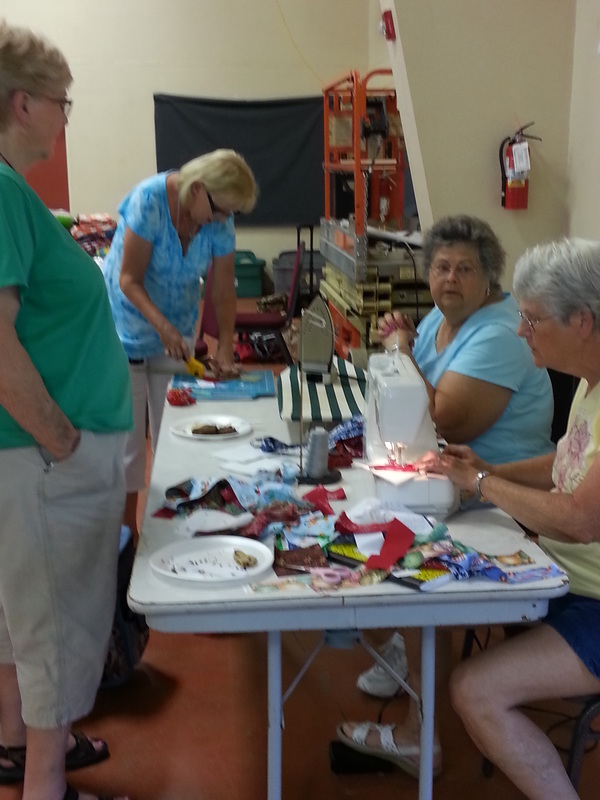 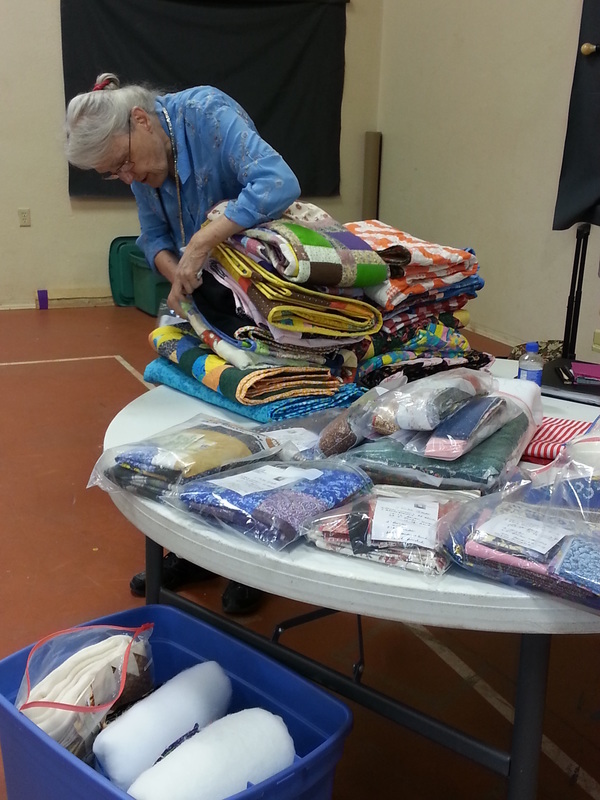 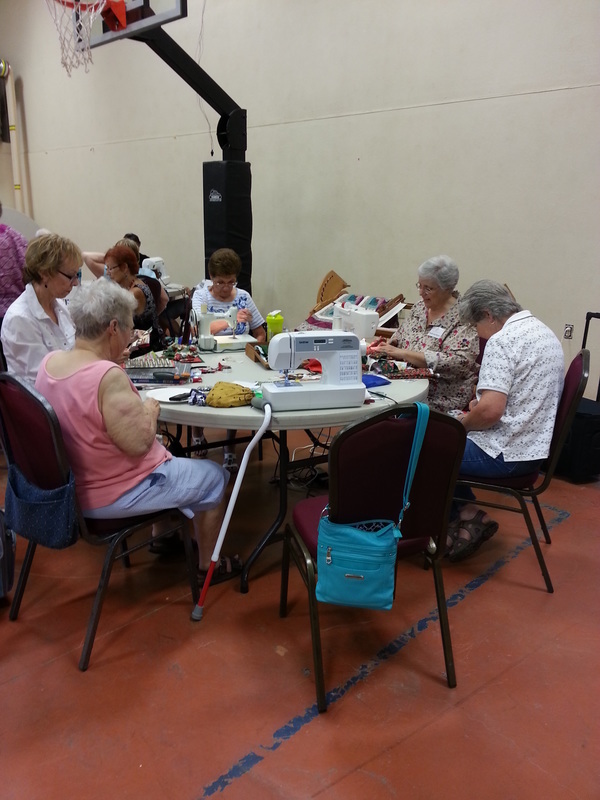 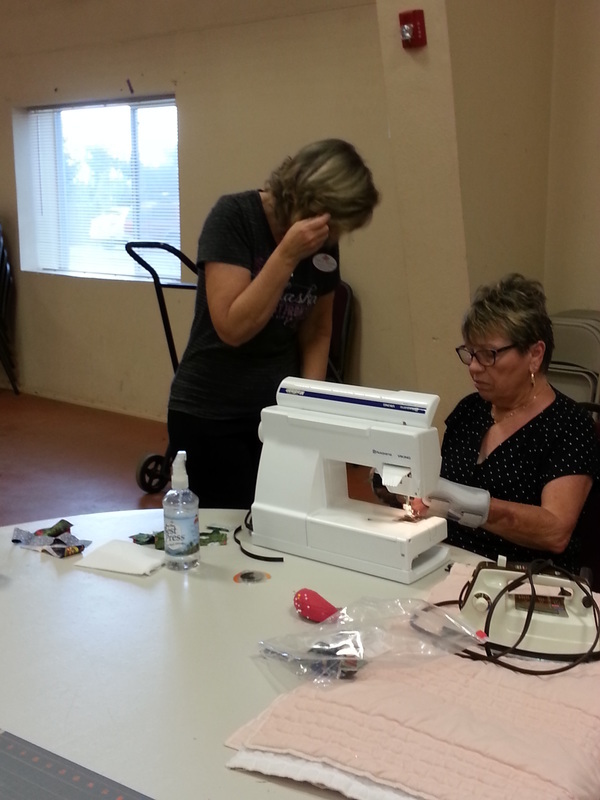 Pat gave us hints, tips and tricks to make sewing the Comfort Quilts easier and quicker. Thank you to all who joined in the fun. 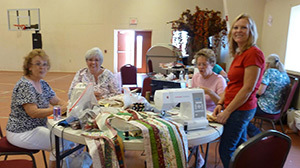 We really appreciate the time you spent with us. 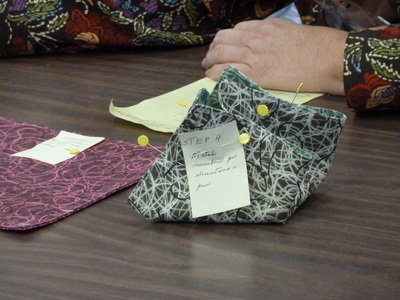 "The class was very informative and well attended." 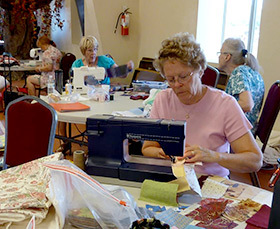 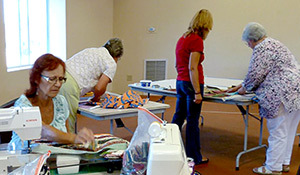 ~ Pam K.
Do you have a quilting technique or skill that you would like to share with our members? You don't need to be a professional, just a quilter who enjoys what you do, and is willing to share and help others improve their skills. 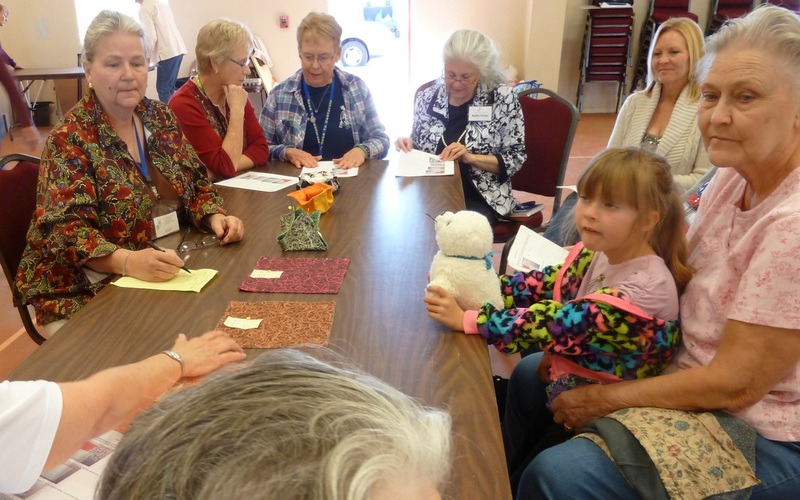 Please Contact Us and let us know what topic you would like to present, or speak with Susan Joy, Program Chairperson, at the programs table at our next meeting.